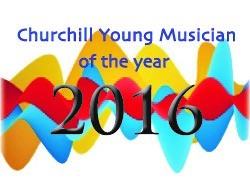 We are delighted to announce that Richard Dickins has been appointed Chair of the adjudicating panel for Churchill Young Musician of the Year. Richard is well known for his work with young musicians. He became conductor of the Symphony Orchestra at Imperial College London whilst still a student and was later appointed the College’s first Musician-in Residence. He is also principal conductor at the Royal College of Music Junior Department. He was recently elected to honorary membership of the RCM and was presented with this honour by the Prince of Wales. A graduate of the Royal College of Music London, Richard was an Exhibitioner and prizewinner and studied conducting with Norman Del Mar. He subsequently worked as Del Mar’s assistant on many occasions with orchestras such as the Philharmonia, Royal Philharmonic and Bournemouth Symphony. Richard has appeared on BBC TV and national and local radio as well as Classic FM. In December 2002 he was featured in an episode of the Channel 4 series Faking It in which he mentors a punk rocker through the process of becoming a conductor. The episode won not only a BAFTA award but also the Golden Rose award and the Press Prize at the Montreux Festival.